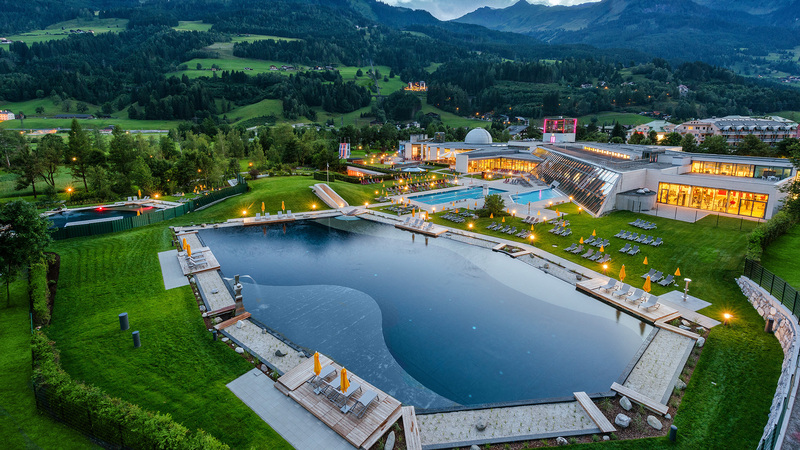 The spa and holiday region Gastein Valley with its villages Dorfgastein, Bad Hofgastein and Bad Gastein is rich in sights, natural, cultural and traditional custom experiences. The famous village of Bad Gastein itself is called Monte Carlo of the Alps. Those who want to become active have uncountable possibilities, no matter which season. All of this and much more can be consumed at a special price with the Gastein Card. It is the key to more experience, fun and entertainment and comes with great discounts and advantages. As a guest in the Thermenappartements of our aparthotel in Bad Hofgastein you will get the Gastein Card right at your arrival. It is free and can be used during your whole stay with us. With it you can get many offers for free - also therapies - and a lot more at reduced prices. You and your Gastein Card will make a highly adventurous team! The bonus card will let you take part in various natural experiences, sports and fun adventures and discover numerous spa and health facilities. How about a guided ski tour or a snow-shoe hike in the winter, for example? Or do you want to explore the appealing summer landscape of the Gastein Valley during a guided bike tour? Also the public transport network in the Gastein Valley can be used at partly sharply reduced prices or for free altogether. Thanks to the central location of the Thermenappartements right next to the Kurpark in Bad Hofgastein you will get to all events, concerts or guided tours in no time. We will be happy to inform you in detail on the advantages and discounts of the popular Gastein Card when you book your apartment - it really has a lot to offer.